Vintage Tees Just $13.99! Down From $30! You are here: Home / Great Deals / Vintage Tees Just $13.99! Down From $30! Until November 22 only! 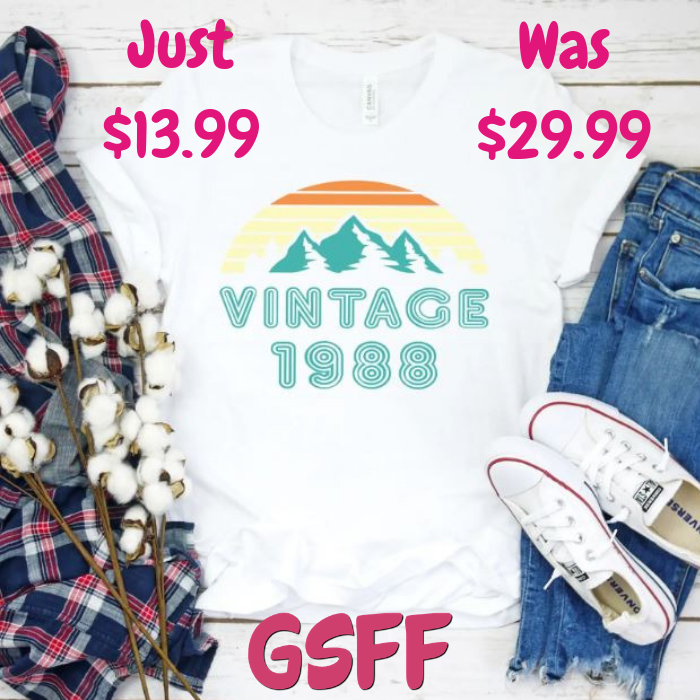 Jane is currently offering these Vintage Tees for just $13.99 down from $29.99! Shipping is $3.99 for the first item and $1.99 for each additional item. These tees are made on the super comfy Bella tees. It makes a great gift this Christmas too!